Pro Shrimp Value There are 9 products. Medium Indian Almond Leaves (13-18cm) Pack of 20 - also called Catappa Leaves! 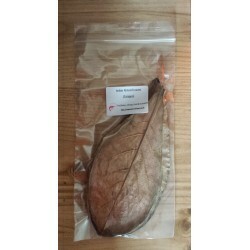 Medium Indian Almond Leaves (13-18cm) Pack of 40 - also called Catappa Leaves!